My sister Jay heading out to the wood pile, battles the snow at Leura, Blue Mountains in the early 80's - snow falls were heavier and more frequent back then. I can't remember the number of times I've been asked this question by out of towners, tourists or new residents - but I know it's a lot. Does it snow in the Blue Mountains? How often? How deep is the snow? Easy question, you think. Yet not so straightforward to answer. Somewhere in the deepest, darkest depths of the Bureau of Meteorology files there is probably a precise and technical answer to this. Yes, it certainly does snow in the Blue Mountains – but that depends on your definition of the Blue Mountains. The best snow falls occur in Oberon, pictured here. In actuality, this region extends from the area west of the Nepean River to the Cox's River. It encompasses the local government areas of the City of Blue Mountains, the City of Hawkesbury and the City of Lithgow. It includes towns as far flung as Jenolan, Kurrajong, Mount Wilson, Megalong, Hartley, Bilpin and Clarence. Within these areas, there are great variations in elevation and climate. For example Katoomba is 1017 metres above sea-level compared to Lapstone much lower down the hill at 160 metres. The highest point of the Blue Mountains National Park is Mount Werong (1,215 m), while the lowest occurs on the Nepean River (20 m). To cut to the chase, it does snow in the Blue Mountains, but generally only in the higher elevations from Wentworth Falls up. From there, the regularity and volume of snow reduces significantly, with snow below Lawson (732m above sea level) very rare. This is due to the fact that the upper mountains has the orographic uplift (the sudden rise in elevation of air mass due to rising terrain resulting in cooling air) which raises humidity to form clouds which under the right circumstances can result in precipitation. The majority of snowfalls on the Blue Mountains result from cold west or southwesterly outbreaks. Historically, the situation may have been different. Perhaps in 320 BC it did snow heavily and regularly lower down in Lapstone, but it's outside my expertise to know what happened then. Besides, the question when asked, generally seems to pertain to the here and now and the exciting possibility of witnessing a few snowflakes in this lifetime. In 1900 a monster snowfall of 6 metres deep was recorded in parts of the Blue Mountains. 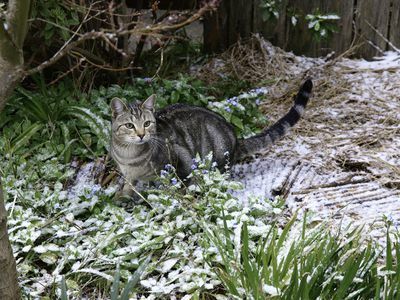 What is your personal experience of snow in the Blue Mountains? 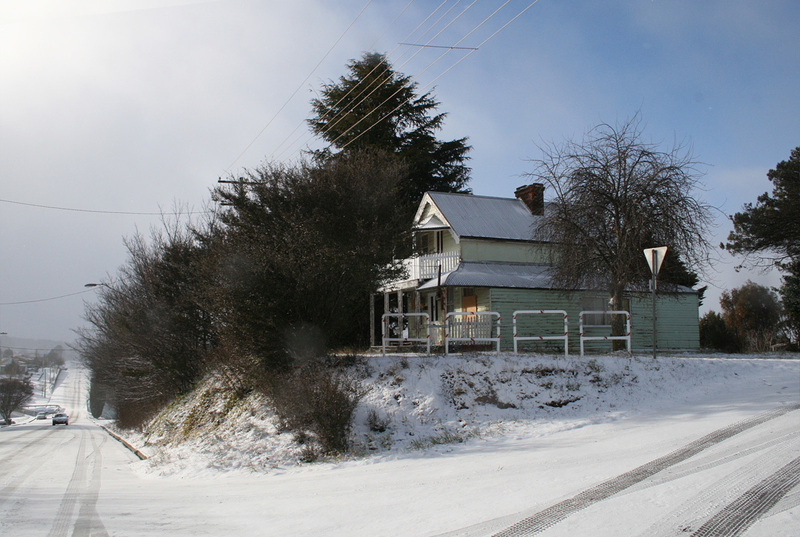 The largest and most reliable snow falls (in modern times) in the Blue Mountains occur in Oberon. 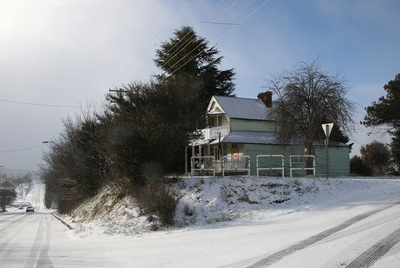 At 1113 metres above sea level, it's the highest township in the Blue Mountains and is known for its decent snow-falls. Surrounding areas to Oberon reach elevations of 1395 metres above sea level, which is higher than anywhere in the Blue Mountains. Snow can often be seen at Oberon when forecast or when it has it has already fallen that day, as opposed to other areas where it may already have melted by the time you get there. Oberon has all the key factors (elevation, cold temperature and conditions that favour precipitation) that make it a magnet for snow. To find out more about Oberon click on this link to the official Oberon visitors information site. 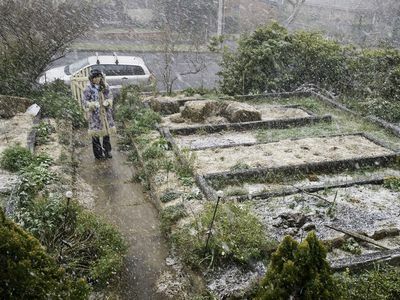 While it does snow in Katoomba (the largest town and tourist centre of the Blue Mountains area), it snows more frequently and deeply in the townships higher up, such as Blackheath and Mount Victoria. So, onto the next, more difficult question. How often and how much? Again, this will vary depending on 'where' in the Blue Mountains you mean. More regular and heavier snowfalls occur higher up - as said previously. 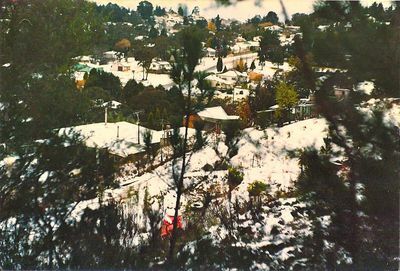 In Katoomba snow falls on average one to two times a year in winter. In recent years these snows have been light – more of a dusting or coating than a blanket, if you get my drift. 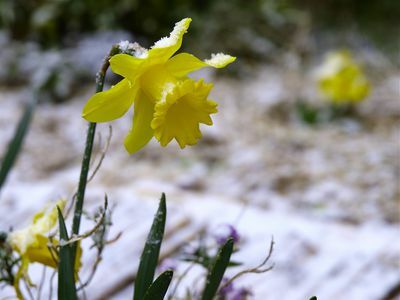 The snow only endures on the ground for a few hours at most – if that, so you have to be in the area at the time to see it. 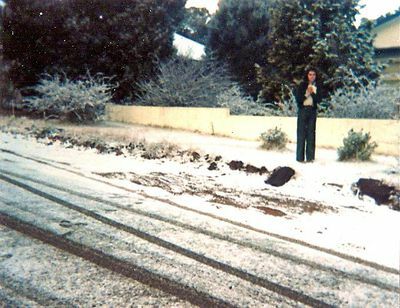 In Mount Victoria, higher up, you might see snow three times a year, but a little lower down in Leura, perhaps once a year. Every now and then there are larger snows that might cause closure of roads, but this isn't the norm. Snow in a street in Leura, Blue Mountains back in the early 80's - note the old car as proof. Which leads to another intriguing aspect of this question: the decreasing quantity and quality of snow over time. As a teenager, I grew up in Leura - on the border of Katoomba. 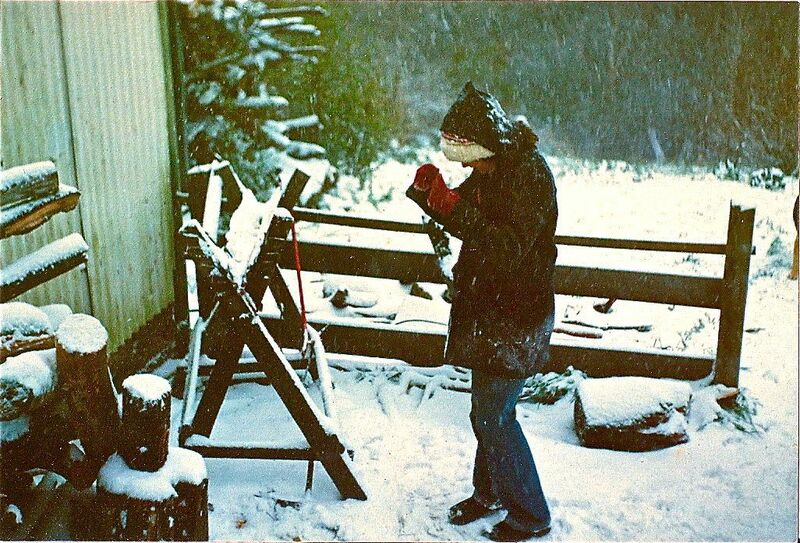 As the family photographer I dutifully recorded all snowfalls on my cheap film camera. 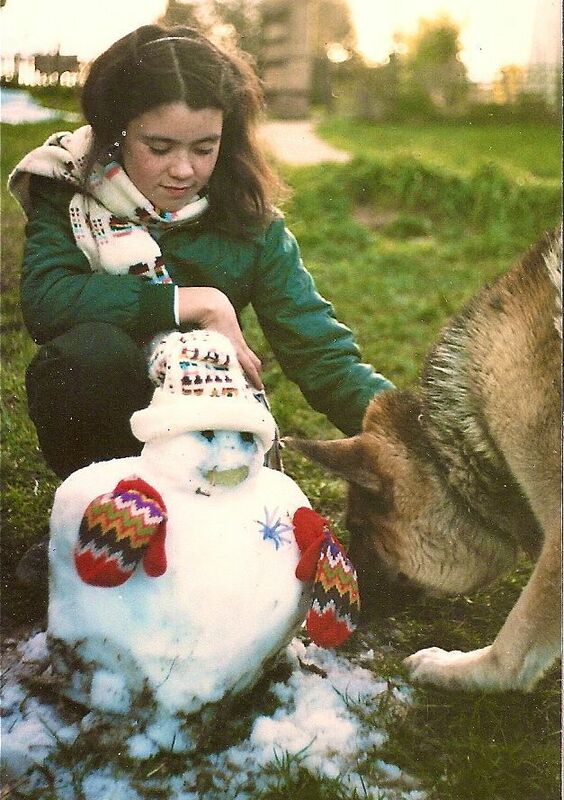 Back in those days (the late 70's to early 80's) there were three regular snowfalls through winter each year, including a light one and at least one quite heavy one with snow blanketing the ground heavily with enough snow to make snowmen. See the pics on this site as evidence. My sister Sylv and her snowman, back in the early 80's in Leura. As an adult, my explanation for decreasing snowfalls was the green house effect. A local guest-house operator had another explanation, based on increased population density and it's affect upon the atmosphere. Perhaps there are other theories? What is yours? Snow blankets a street in Leura, Blue Mountains. For snow chasers, as afore-mentioned, the most reliable and accessible place for seeing snow is Oberon. 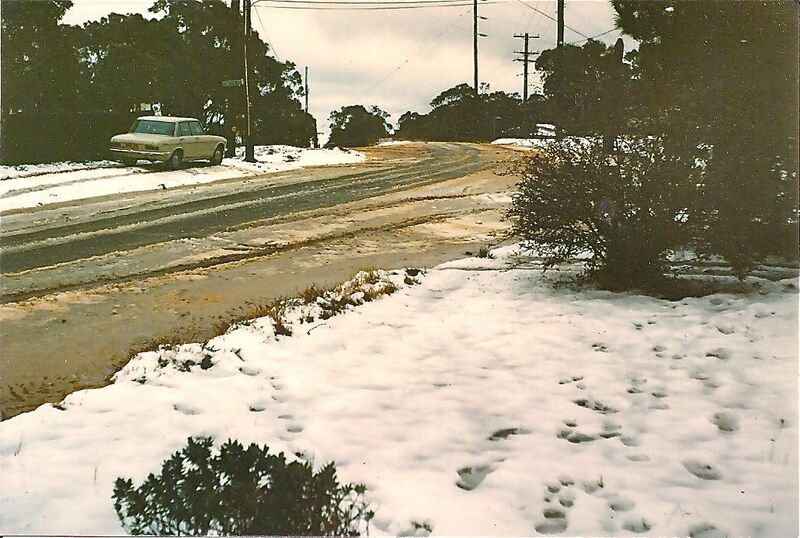 The higher areas of Oberon are often the only spots to see snow in conditions that forecast the magical white stuff, but end up only as sleet or icy rain in other parts of the Blue Mountains. Enter Oberon from the turn-off at Mount Bindo (just south of Hampton). If you take the road to Edith and Jenolan Caves from Oberon you can continue on to Mount Trickett, 1362 metres above sea level. This spot can be a real snow haven but is a little difficult to access with it's slightly hazardous winding, steep and narrow road. Take the Edith road route rather than the more dangerous Jenolan Caves entry to Mount Trickett. There are few things more magical than the sight of the land transformed by the stillness and purity of snow. For other past or present residents, how often does it snow in your village? What is your experience of snow in the Blue Mountains?